Artificial Sweeteners – Dangerous For Health? Artificial sweeteners like sucralose, aspartame and acesulfame-K are often the subject of articles and videos that claim using them is dangerous for your health. Let’s have a look at the different kinds of these sweeteners and examine if they really put your well-being in jeopardy. Artificial sweeteners, sometimes also referred to as sugar “substitutes” or “replacements”, are chemical compounds that offer the sweetness of sugar without many calories. The effect is achieved through them being a lot sweeter than sugar, which means it takes a much smaller quantity to create the same sweetness sugar has. This makes them a favorite for those on a weight-loss plan or as a means to control weight gain, while people with diabetes use artificial sweeteners to make food taste sweet without raising their blood sugar level. Tasty, sweet, full of sugar. Saccharin is the oldest of all artificial sweeteners. It was discovered in 1879 and has a characteristic metallic or bitter aftertaste, which is why it often is used together with other sweeteners, letting them mask off each other’s weaknesses. In its long history it had comparatively little controversy surrounding it. The biggest being one in 1977, when a study showed that rats developed bladder cancer after receiving high doses of saccharin, which led the US Congress to decide that all foods containing saccharin must bear a warning label. However, since then further studies have shown that the tumors found in the rats were related to a mechanism in rats that is not found in humans. Due to these findings, saccharin is no longer listed as potentially causing cancer and the requirement for the warning label has been removed. Aspartame was discovered in 1965, is derived from two amino acids and, since its first approval as a food additive by the Food and Drug Administration (FDA) in 1974, the soap opera of sugar substitutes. It was the subject of several controversies and hoaxes, from a supposedly tainted FDA approval process to linking it to brain tumors, multiple sclerosis, Gulf War syndrome, headaches and insulin resistance. All these have been debunked, but a whole branch of alternative medical practitioners still makes a living through the scare. The latest controversy regarding aspartame was brought on by a 2005 study done by the European Ramazzini Foundation, that claimed to have found a clear link between aspartame and cancer in rats (PDF), which made its rounds in the media and prompted the FDA and the European Food Safety Authority (EFSA) into action. The FDA requested the study’s raw data and pathological slides, but the research institute only send part of the data and denied the FDA to have a look at the slides. The partial data the FDA had received still revealed various flaws in the study, which led the FDA to dismiss it. The EFSA however went a step further and assembled a panel of 8 experts that reviewed over 500 studies done on aspartame. In 2006 this panel came to the conclusion that there was no link between aspartame and cancer (PDF) and that consumption within the guidelines for acceptable daily intake causes no risks to health, safe for one exception: people who have phenylketonuria (PKU), a rare genetic condition in which the body cannot metabolize the amino acid phenylalanine (which is part of aspartame), should avoid the sweetener. In 2009 the Ramazzini Foundation provided a second study, but its review led to the same conclusion. Sucralose was discovered in 1989 by a team of English researchers, was first approved in the US in 1998 and in the EU in 2004. It is the only non-calorie sweetener made from real sugar: To produce it the structure of sugar molecules is changed, making them much sweeter than regular sugar. Yet unlike sugar, sucralose cannot be digested, absorbed or metabolized for energy, nor does it affect blood sugar level, making it safe for diabetics. It can also be used safely by people with the above mentioned phenylketonuria. In over 100 studies the only evidence of sucralose causing an adverse health response in humans was at a daily dose of 51 g (PDF), which would amount to consuming 4,300 packets of Splenda per day. Acesulfame-K is a potassium salt – hence the “K” in the name, as it is the chemical symbol for potassium – whose sweetening properties were discovered in 1967 and has been first approved by the FDA in 1988. As it enhances their sweet taste and sustains it longer, it usually is used in combination with aspartame or other sweeteners and, being heat stable, also employed in the production of baked goods. It’s calorie-free property is due to the human body not being able to digest it – acesulfame-K is excreted with the urine. One study showed that acesulfame-k caused insulin secretion in rats, while another (PDF) couldn’t report a carcinogenic effect of very high doses of acesulfame-k. To reach a higher level of confidence, more studies are needed. Stevia is a natural substance, extracted from the leafs of the plant with the same name and has in Japan been used as an artificial sweetener since 1970. In the 1980s two studies raised concern about a connection between Stevia and cancer, which in 1985 led the EU to ban its use, followed in 1991 by the USA. Since then further research was conducted, that showed Stevia can lead to toxicity in rat, mice and hamsters and shrunken testicles in mice, but this couldn’t be replicated in humans. In 2006 the World Health Organization reviewed the scientific data (PDF) and came to the conclusion that a consumption of up to 2 mg / kg bodyweight per day may “preliminarily” be considered as safe, but also that there may be a pharmacological effect in people with hypertension or type 2 diabetes. This in turn led to a re-evaluation of Stevia and it is currently approved in the US and the EU, with the latter recommending a maximal daily consumption of up to 4 mg / kg bodyweight per day. Many critics of aspartame and company recommend stevia as a “natural” alternative, but as the results of studies examining stevia are far more mixed than for other sugar substitutes, it actually for now is the least safe product and further research is warranted to give a clear recommendation here. The most criticized of all available artificial sweeteners, aspartame, has undergone the most rigorous testing of them all and there was no evidence of it being a health risk. It is very unlikely that over 500 studies were manipulated by the companies manufacturing or using aspartame, which, in certain circles, is an often heard criticism. Saccharin has undergone similar scrutiny and, due to its very long availability, any adverse effects should long have surfaced, while sucralose is relatively new, but with over a 100 studies, where negative effects were only seen at an insanely high consumption rate, should be considered rather safe. The most open questions remain about acesulfame-k and stevia. Acesulfame-K certainly needs more research done on it, while stevia has seen the least research of them all and it being a “natural” product is no free ticket to it being safe – some of the most potent toxins known to mankind are natural as well. Pictures courtesy of D. Sharon Pruitt and “oceandesetoiles“. much sought-after compilation, very helpful, Thank You! Also is sucralose the most common sweetener contained within diet sodas? No, the most comon sweetner contained in diet sodas is aspartame. I don’t have hard data on usage at hand, but I agree with anonymous that aspartame is probably the one used most often. About time!!! PS I though I read that aspartame is not heat stable hence not used in baking were as sucralose is. As well what (in your research) if any data has the acesulfame-k has any affect on blood pressure (potassium is used as a sodium alternative for people with high blood pressure). Would acesulfame-k also fit in the build? One last one that is also common is sugar alcohol or sorbitol (http://en.wikipedia.org/wiki/Sorbitol) its 1/2 the calories of sugar and used extensively in chewing gum. Any other data on it? Well, this article had been lying around for quite some time, because it was one hell to research. Over the holidays I finally found the time to get an in-depth look at the studies I mentioned and was finally able to finish it. Beyond the mentioned laxative effect I am not aware that sorbitol has other effects, while about acesulfame-k and blood pressure you might find this paper interesting, that didn’t find a link. Great post, it made me rethink my oppinion on artificial sweeteners. I still however have my reservations against them. They might not be that harmful for you, but they are still something your body doesn’t need, and are something your body can perfectly run without. In other words, why put something in your body that is useless to it? (especially when we still can’t say for sure that these products are totally safe) Of course they taste good, but I’d rather eat foods that taste good because of something that actually does me good. If I want something to taste sweet, I’ll add some real and whole fruit. It’s also good to remember that many products that contain these sweeteners have a lot of other nasty things that are bad for you. 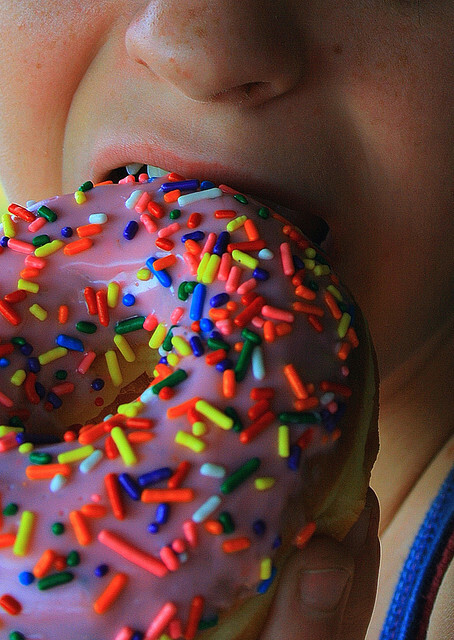 It might be that people have been experiencing negative effects from the other things in say for exemple that donut, and then blamed these scary and relatively new chemicals for them. Yep, other additives may cause cross-reactions and I generally agree that natural foods are better. It’s a trade-off: I can’t say no to sodas – while pure water would really be all that my body needed – so diet sodas are my compromise. Well, it could of course be a “self-fulfilling prophecy” and the only way to find out would be if for a couple of weeks someone served you sodas with or without aspartame and without you knowing and records how you feel afterwards. Only thing aspartame is really easy to taste from soda. Jij bent mijn held, dankjewel voor de info en de wetenschappelijke onderbouwing hiervan. Thank you for a very useful article. Interesting thing is, those who are really careful or paying attention to their health?are concerned about matters like this. Honestly, I’d rather have a black coffee than sugar substitute. When I need sugar, I’d rather have real natural one. And I like black coffee much better 🙂 Am I fortunate??? Were you paid to write this by a content farm? Do you think that the only “bad” effects of an artificial sweetener is that they might cause cancer? How short-sighted of you. Aspartame is a known migraine trigger, for instance. Do we know the role that artificial sweetener may play in Alzheimer’s? We certainly know that it plays a rather sinister part in obesity. Artificial sweeteners (with the exception of Stevia) are chemicals. Their effects, long term and short term are not adequately understood. Do you also have a column singing the praises of High Fructose Corn Syrup? We don’t “know” any of what you are claiming, unless you provide some scientific fact for it. I hate to break it to you, but virtually everything your body uses is broken down into “chemicals” in order for it to become biologically useful. That’s the biochemistry of the entire plant and animal kingdom. 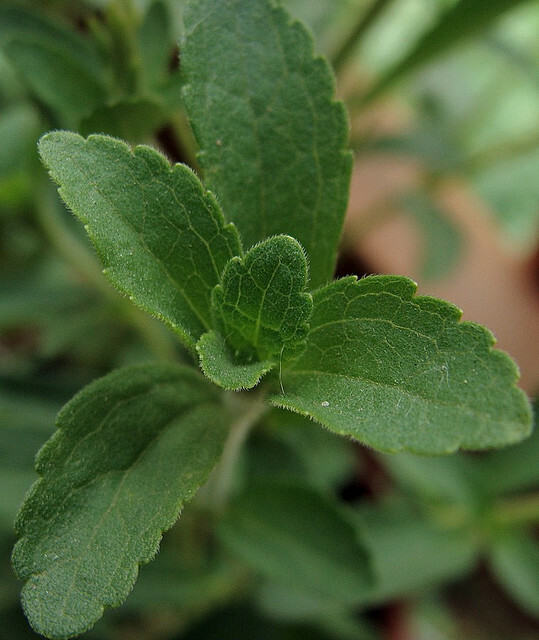 Unless you’re chewing on the stevia plant’s leaves, some chemistry had to be used to process it into the powder you use as a sweetener. Being closer to a plant is in no way safer or healthier. Why would a plant be interested in helping out the organism eating it? Humans love caffeine, but the plant doesn’t make it to help us get out of bed in the morning. Caffeine is an insecticide. The plant is literally making the substance in an attempt to kill something getting in its way.